Crafts and Cravings: Favorite 3-color combo! It's a Totally Stampalicious Monday! Thanks to all who participated in our new release blog hop last week! Be sure to check the blog to see if you are a winner! Today's challenge is to show us your favor three color combination. My color combo is light blue, pink and gray. For my card I am using one of the new release stamp sets. 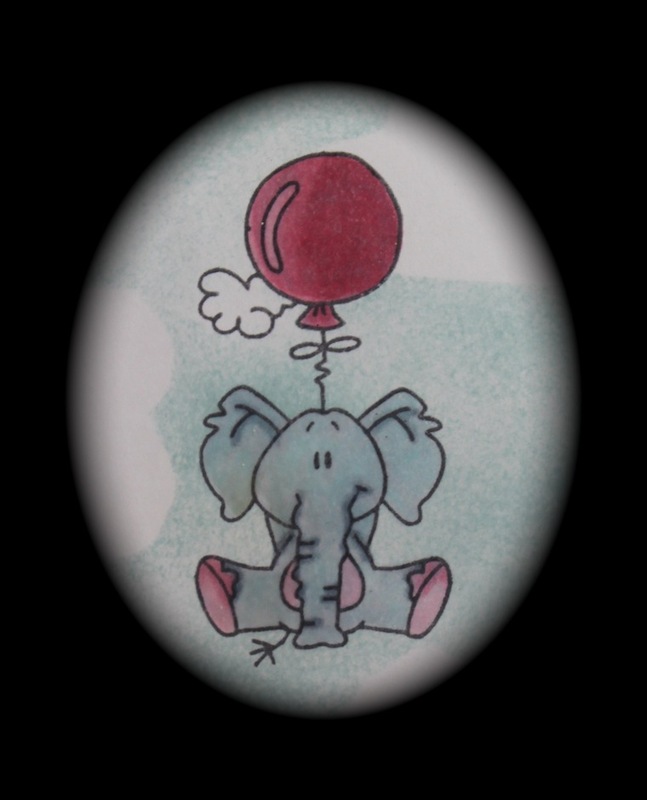 This one is called Balloon Critters and you can find it HERE in the Totally Stampalicious store. I stamped and colored this cutie with copics first. Next step was to use an embossing pen and heat emboss what I had colored in clear. I made two masks for clouds out of scrap paper and sponged in the blue sky. I mounted the panel to straight white because I didn't want to detract from the image. Very nicely done! I sure do like this one! Great card Kendra. Love that elephant! Thanks so much for joining us at A2CAS for this challenge. One of my favourite Bugaboo images, such fun! Thank you for joining Quirky Craft's 'Some thing New With PINK' challenge! New Challenge starts tomorrow evening! What a cutie. Love your card. The elephant is so adorable. Thank you for playing along with the ATCAS challenge this week. Cute image, perfectly CAS with this simple background. Well done!